Here in Australia, we’re just coming out of the depths of winter. Not that we ever experience very severe winters in our Mediterranean climate, but it does get cold enough to crave a bit of comfort food, like these gluten-free Bread and Butter Puddings. 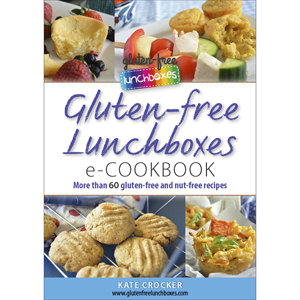 This recipe isn’t new – you’ll actually find it in my eCookbook – but I was inspired to recreate it because of Lifestyle Bakery’s brand new range of gluten-free bread. The range includes a fruit loaf that is incredibly soft and flexible and loaded with gorgeous spices and fruit. Check out my post that includes video of the bendy gluten-free breads. Amazing! 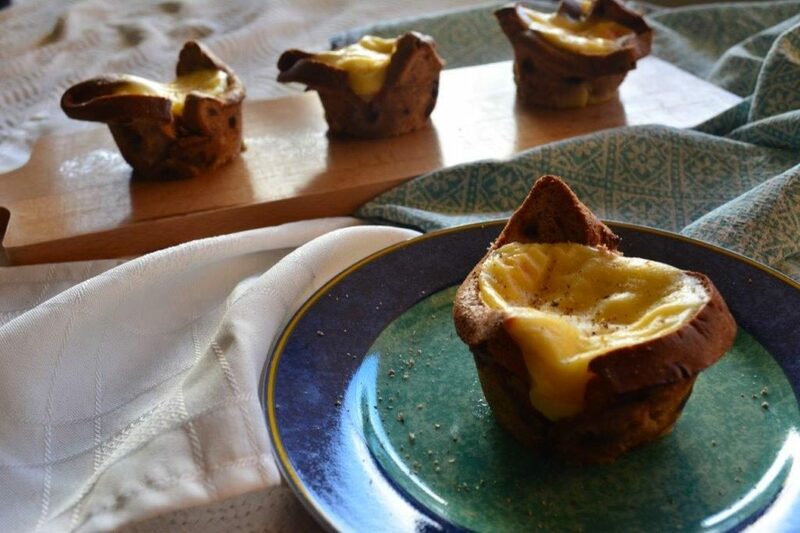 Bread and Butter Pud may not seem like a very practical lunchbox choice, but this recipe allows you to make individual puddings using a muffin tin. Because the custard is baked, it becomes fairly solid, which makes the puddings easy for kids to transport and handle. You can make a custard from scratch (it’s not difficult nor time consuming) and then use the leftovers to make the individual puddings. That’s the beauty of this recipe – it’s flexible enough to make as few or as many puddings as you need. My son’s a bit of a custard junkie, so he would happily eat these until the cows come home. Preheat oven to 180° Celsius (conventional oven) or 160° Celsius (fan-forced oven). Grease and line 6 cavities in a half-cup capacity muffin tray. Spread out bread slices on bench top. Using a rolling pin, gently roll over each slice of bread until it is approximately 3 or 4 mm thick. Spread with a thin layer of butter. Press each slice of bread into each muffin tray cavity. Press overlapping edges into one another, but don’t worry too much about holes or cracking in the bread. To make the custard, separate the egg yolks into a small bowl. Lightly beat them and set aside. In a small saucepan over medium heat whisk together the cornflour with 125 ml (half a cup) of the milk. Whisk until evenly combined and there are no lumps. Add the rest of the milk, sugar and vanilla essence while whisking constantly to prevent mixture from catching on the bottom of the saucepan. Continue to whisk until mixture is hot and thickened a little, but not boiling. Remove from heat and slowly add the egg yolks, whisking constantly to ensure the custard is smooth. Return saucepan to medium heat and continue to whisk until custard is quite thick. Remove from heat immediately. Spoon hot custard into the bread-lined muffin cavities until each cavity is filled. To serve, grate a little nutmeg over each pudding (optional). Serve hot with ice cream, or at room temperature in the lunchbox. There will be enough custard left over to serve 3 or 4 people as a dessert.